Check it out! ChiIL Live Shows has a gorgeous, free single for you. Chicago singer-songwriter Xoe Wise is dropping the first single from her upcoming Archive of Illusions today, March 6. 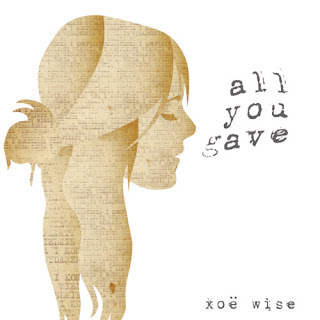 The single, “All You Gave,” is available for free download at http://blog.xoewise.com/allyougave! Archives of Illusion will be released on Tuesday, May 1 and Xoe will be performing live on WGN-TV on Friday, May 25. Her record release show is tentatively scheduled for Tuesday, May 29 @ Schuba’s.